Mississippi is overflowing with one-of-a-kind attractions! One spot you won’t want to miss while visiting this state is the incredible Mississippi Petrified Forest in Flora, MS. Discover what this place has to offer and make plans to see it today! What Is the Mississippi Petrified Forest? Petrified wood is truly an intriguing bit of natural phenomena. This term refers to when trees are buried by sediment and protected by decay. Over time, groundwater that contains dissolved solids flows through the sediment, replacing the original plant material with other substances. The tree essentially becomes a fossil! The Mississippi Petrified is special because it contains many of these fossilized trees, some of which can be dated back thousands of years. It was discovered in the 1800s but wasn’t developed and opened to the public until the 1960s. When Can I Visit the Mississippi Petrified Forest? The Mississippi Petrified Forest is open all year long, with the exception of Thanksgiving Day and Christmas Day. Their summer hours (April 1st- Labor Day) are 9:00 a.m. to 6:00 p.m. During the winter, the Mississippi Petrified Forest hours are 9:00 a.m. to 5:00 p.m. Admission is $7.00 for adults and $6.00 for students and seniors. What Are Some Things to Do at the Mississippi Petrified Forest? The Mississippi Petrified Forest is a wonderful place to wander! Stroll along their Nature Trail to see where a raging river once tore its way through this forest, leaving behind remnants of trees that became fossilized over time. You’ll also be able to spot numerous types of wildlife as well as a variety of beautiful wildflowers. They also have a museum on site where you can learn more about the fascinating history of this forest. Gem fluming is also a fun thing to do here. You can hunt for sparkling gems in the water and keep whatever you find (with the purchase of a $4.00 gem bag). The Mississippi Petrified Forest also contains a pavilion where you can have a picnic lunch, as well as a gift shop filled with unique souvenirs. No vacation is complete without staying in some amazing accommodations! Fairview Inn is the perfect place for you to unwind after an exciting day of exploring the Mississippi Petrified Forest; our bed and breakfast in Jackson, Mississippi, not only offers comfortable rooms and suites, delectable dining, private lounge, library, and game room, but we also have our very own spa for you to enjoy. Choose from exploring the many additional attractions of downtown or simply reveling in the comforts of our cozy inn and its relaxing, peaceful environment. You’re bound to love what we have to offer in our rustic haven of Mississippi, so don’t hesitate another moment; check our availability and book your stay today! 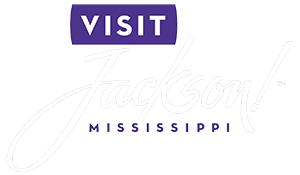 To learn more about the many things to do in Jackson, MS, like visiting the Mississippi Petrified Forest, download our free Vacation Guide!